Due from the Entertainment label on September 08, 2017 is the 3 CD set 'The Songs He Loved'. While Elvis was never known as a songwriter - despite the odd, rather dubious credit in that regard - he was perhaps the finest interpreter of popular song to have emerged during the rock age, and his choice of material was never less than commendable. These factors have conspired in the release of this fascinating 3 CD boxed set. Featuring original versions of numbers which The King took to the top of the chart, and including tracks and artists that he was most influenced by when creating his unique style, this collection is both a valuable display of such material and a wholly enjoyable listening experience in its own right. 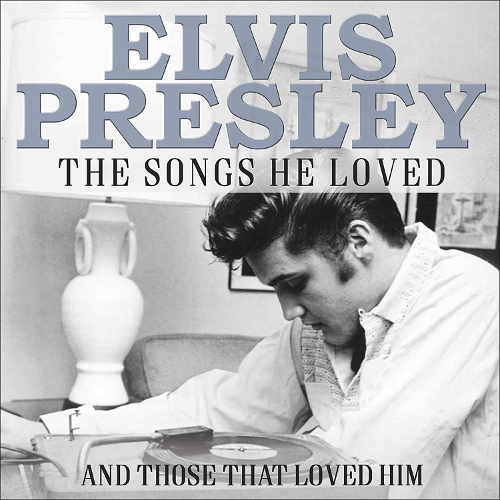 Containing as bonus cuts songs written and performed in tribute to the musical giant that was Elvis Aaron Presley, this collection documents perfectly two sides of the great man's skill: his huge, sponge-like talent to learn from and be informed by the finest creators of music, alongside his seemingly effortless ability to influence others. This is a point that comes up every now and then. Well, I don't care whether or not he wrote a song. What is important is the performance. And that what's the King did. He improved on the performances of the orginals too. Hence I am not interested in buying the originals.